Then, unexpectedly, three brightly glowing melon-sized balls of light came soaring across the dark sky. When they were a few feet away, from me, they elongated into long thin slivers. Moments later, the slivers expanded and then took form into three indistinct shapes. Eventually, I could understand words and phrases from the voices I was hearing. I was still fading in and out, but the hallucinations were disturbing. I couldn’t quite discern them. I heard one of the men saying something about a scanner. Then, I heard a high-pitched sound. After that, there were more discussions about injuries. I assumed they were speaking of my injuries, but I was so befuddled I wasn’t sure of anything. I must have been crying because one of the robed strangers brought a hand to my face and gently wiped my tears away. “Who are you?” I struggled to get the words out, as it had become increasingly more difficult for me to breathe. Then, my senses were assaulted with the scent of an earthy pine forest—deep and luscious, the type of scent, that you could only experience hiking in the woods after a rain, when everything is moist and damp. It was simply wonderful; I just wanted to continue inhaling it, enveloping myself in the heady aroma. It was extremely soothing, almost a sensual feeling. I didn’t stop to think it was unusual, all of these sensory encounters. My mind couldn’t focus on any particular thought. I was simply… there. Was I still alive? Had I lost my mind? “Madeline, we are going to have to move you, but do not worry. We have given you something for the pain, and we will take great care not to cause you too much discomfort,” the man said. “Where are you taking me?” I whispered. “I’m really scared,” I pathetically squeaked out. Whoever spoke tenderly placed a warm, soothing hand against my uninjured cheek. I felt a soft, gentle touch that somehow soothed me. 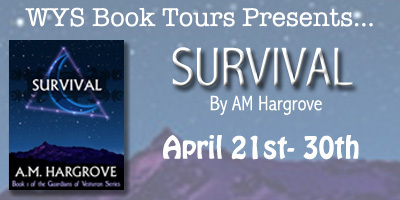 “We are taking you someplace safe… where you can heal. We are here to help you.” I felt this savior take my hand and hold it firmly, passing his strength to me. I tried to lift my head, but I didn’t have the strength anymore. Then, I started feeling a sense of numbness wash over my body, and my pain began to ease tremendously. I think they had given me an anesthetic for the pain. Then, I felt myself being lifted, but I couldn’t open my heavily weighted eyes. I felt the comforting cocoon of darkness return. Now for the giveaway! 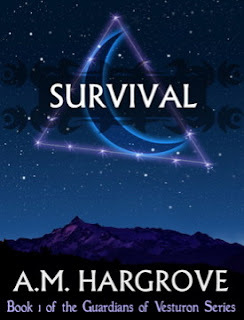 If you'd like a copy of the sequel to Survival, Resurrection, then leave a comment below with your thoughts on what Survival will be like. Leave your email! 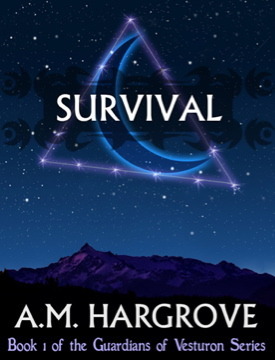 I just picked up the free copy of SURVIVAL, thanks! I like the setting of the story and Maddie's story sounds exciting.